For many years, Fasttel has been compiling dozens of wishes, questions and comments from all its relations. Now, the solution for all this has been shaped and given a name: Cult! Fasttel's contribution to timeless elegance for beautiful homes. This attractive easy to use monitor is made from high grade glass that is operated by touch contact buttons. Suits both modern and traditional homes. Only the finest materials will be acceptable to the discerning eye! This innovative Architecturally Designed equipment not only looks good, it boasts numerous technological features. 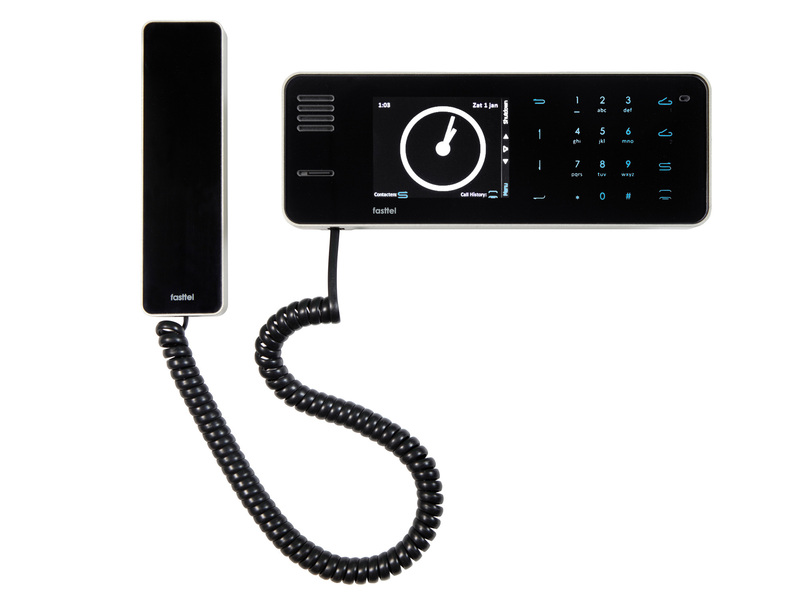 It is a fixed telephone with software features of a Smartphone mobile. 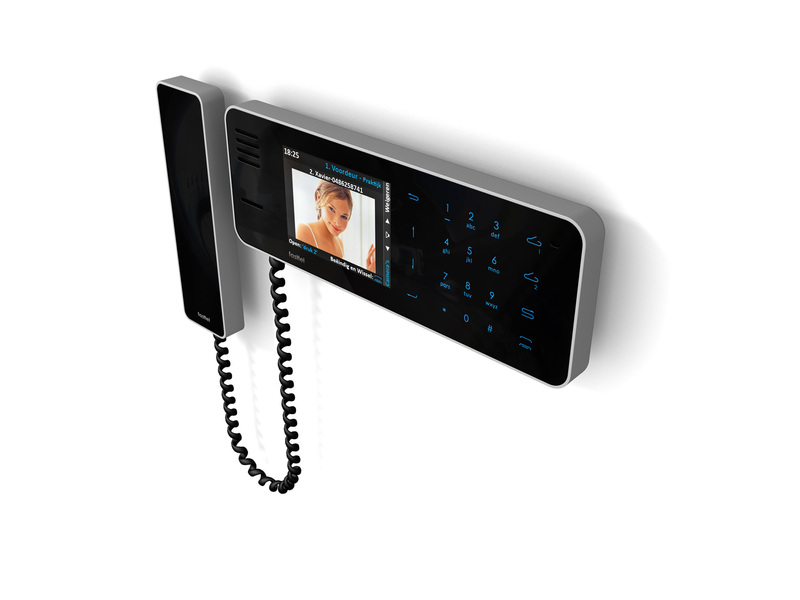 It is in-house video extension with recording function for your Fasttel door entry system. It is a display and recording system for your analogue and digital cameras. 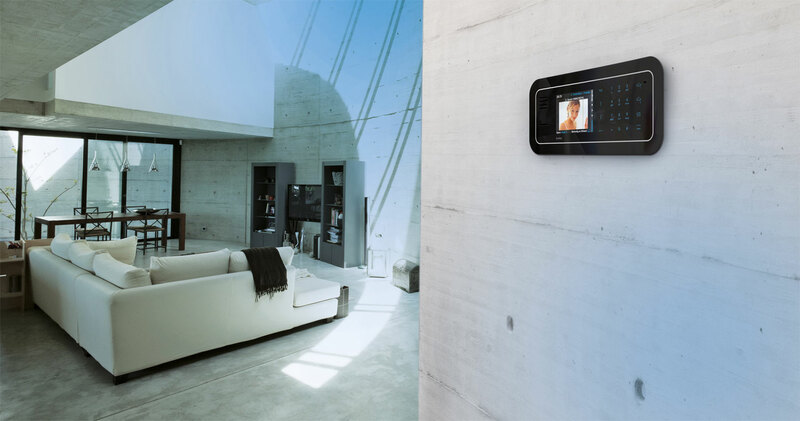 It plays MP3s, films, it is a digital photo frame and an alarm clock. It makes a connection to each domotic system so you can control your entire property. Use of black glass and 'Secret until Lit' tecnology. At rest, the appliance is enterely black. Only upon being touched, screen and buttons become visible. Slot for MicroSD card: on this, images and voice messages of the door calls will be stored as MPG4 films. It is also possible to record normal telephone conversations. Storage of phots, music and other films. Updates are automatically carried out by the Cult, if a higher version is present. Crystal-clear 3,5" LCD screen. Control buttons: all user choices, possible at that moment, appear on the screen, so that the phone is operated in a rather initiutive manner. Two fast-keys intended for 2 commands (e.g. gate open, alarm on). Both buttons can also be used to show the status of 2 inputs. For example 'gate open' or 'alarm not on'. FTCULTF: black lacquered trim + Cult flush-mounted module fixed inside the wall.Optional receiver of the FTCULTH is not possible. Luxurious glass receiver for Cult. When talking hands-free, the phone is automatically changed over to the receiver when the latter is picked up. With this Wengé base, you transform the Cult into a real jewel for putting it on the table, chest or desktop. The vision angle can be changed, so that an optimal screen display is always possible. The visitor is put on the screen with textual indication which door phone and which push button were used. You can choose mp3 songs as ringtone and this again by door phone and by push button. You have a hand-free function and/or secret communication with an optional receiver. All door calls are saved as a film on the micro SD card. 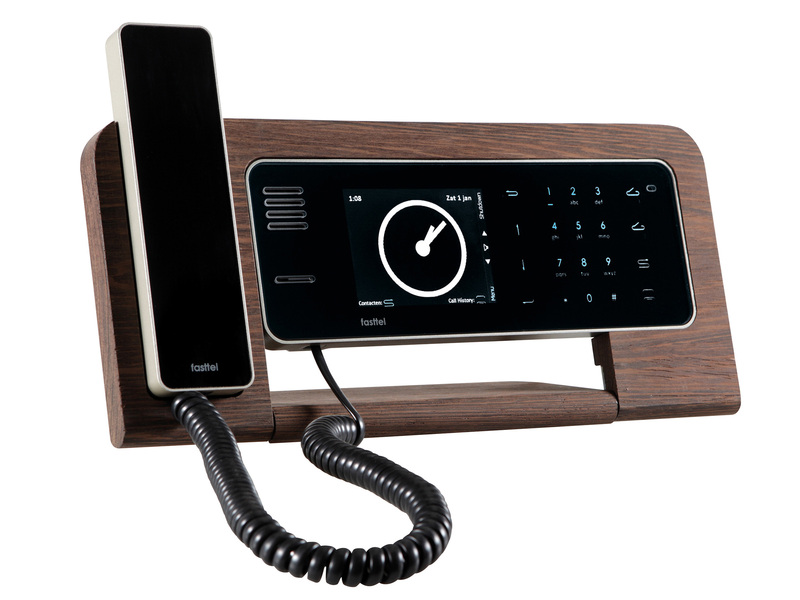 Sophisticated telephone apparatus with all the possibilities of a Smartphone GSM: management contacts, speed dials, incoming, outgoing and missed calls, mp3 as ringtone. You can record during the conversation without being noticed. Recording on a memory card. Examine of extra cameras (analogous and IP) and direct recording on memory card. The Cult is more than a telephone, videophone and camera display screen! It is also a multimedia player for photos, MP3 recordings and videos and offers a link to each domotic system! In the diagram above, you note the simplicity of the wiring. In practice, from every Wizard door phone and from every Cult, you pull a utp to the technical room. Here, for both of them you make a connection to the switchboard and to the I/O relay module FT8SW. Thanks to the LON/Echelon protocol, this latter provides for a perfect data connection between the Wizard and the Cult. In case there are IP cameras and/or the microSD card inside the Cult must be accessible through the network, you need 2 additional pairs between Cult and the network switch. Analogue cameras are converted from coax to UTP through the DB9602, and thus connected to the Cult through the FT8SW switch. Two contacts can directly be operated using the Cult through the relay icons at the top right of the Cult. Feedback information for e.g. open gate is provided through the FT8SW across the Ion bus. on the wall, in the wall and office model. Click on the link below to download an executable. You can test the Cult by using your mouse. as if you are standing right in front of it. Not all functions, like receiving door calls, are shown as in reality. This application only offers a basic impression.